We are deeply saddened to announce the very sudden and tragic passing of Kyle. He is survived by his parents, Kelvin(Laura) and Carol Smith, loving sister, Amanda, grandparents: Bob and Muriel Smith and Gertie Carlson. Aunts and Uncles: Cheryl (Dale) Beottger, Ted (Gloria) Carlson, and Mike (Adel) Carlson. Cousins: Steve (Kacey), Shaun (Jo), Jen (AJ); Leanne (Jeff), Jennifer (Ryen), Adam (Leigh), and Solvi, Paul and Peter. As well as many other family and friends. Kyle was born on April 26, 1992 in Kamloops, B.C. From a young age, Kyle kept himself busy and active, rarely taking a moment to rest. 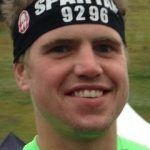 Kyle had a passion for going to the gym, running, competing in half marathons and Spartan races. Kyle also enjoyed other sports including soccer, hockey, paintball, high school football, snowboarding, wake boarding, dirt biking, mountain biking, camping, fishing, 4 x4-ing in his truck, hanging out with friends, and spending time with family. Kyle was known for his kindness, quiet nature, huge smile, and love of life. Kyle lived life every single day exactly how he wanted to. He was always pushing himself to the limit, often learning things the hard way. He recently completed his training to become a CN conductor, which he and his family are so proud of. Kyle will be so missed by his family and friends, and all who knew him. He was so loved. There will be a Celebration of Life held for Kyle at The Coast Hotel Kamloops on Saturday, July 22, 2017 at 1 p.m. There will be an opportunity to share stories of Kyle for all who wish to share. Carol and family, There are no words that properly express the sorrow and sadness of this time. Please know that you are in our thoughts and prayers now, and in the days ahead. Adrian, Marlene, and family. Oh gosh Carol, I’m just so sorry. I’m thinking of you. Not sure if you remember me Kelvin, but my kids went to school with Kyle. I am deeply saddened by news that you have lost your son. I don’t know what to say. It really hits home when you have children the same age and grew up in the same neighbourhood. You are in my thoughts and prayers at this difficult time. Take care. Wishing you all peace and strength during this difficult time. Our family is deeply saddened by Kyle’s passing. Kyle was a wonderful young man, and we remember having many good laughs with him, when you and I were roommates on hockey trips. He was always gentle, caring, and ready to help anyone. Please know that you are in our thoughts and prayers now, and forever. I don’t know how to heal your pain but wish I could. Someone so special will never be forgotten. Kyle will live in your memories forever. Peace be with you. Our hearts go out to you and your family, there are no words for the loss of a child..
Carol, I am so sorry to hear of your loss. I can’t imagine the sorrow your family is dealing with right now. I will always remember the local hockey games and road trips we travelled together on. Kyle was always enjoyable to be around. Our family is thinking of yours at this very difficult time. Please know that I am thinking of you and the rest of your family at this time. I remember meeting Kyle on one occasion. He was kind, he was cheerful, and was a real nice man. Rest in peace Kyle! Kelvin and Family. The service today hi-lighted what a wonderful person Kyle was and how lucky people were to have him in their lives. Brenda and my thoughts are with you. We want to express our deep sadness to the whole family. But especially to Cheryl & Dale, and Ted & Gloria.